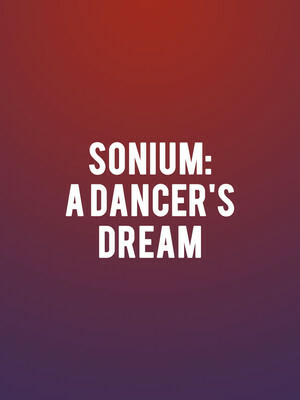 Why See Sonium: A Dancer's Dream? World champion dancers and stars of primetime telly hit Strictly Come Dancing Neil and Katya Jones are set to bring their kinetic chemistry to the Sadlers Wells stage during their hotly anticipated run of Somnium: A Dancer's Dream this summer. Neil last flashed his tremendous talents on screen during the Strictly Children In Need Charity Special whilst Katya danced her way to victory as partner of British actor Joseph McFadden in 2018. The husband-and-wife duo transform the Cathedral Nave into a ballroom for four special performances only to recreate their own story with the vibrant Latin and ballroom-infused choreography. Together they weave the spectacular tale of a British boy and a Russian girl united by their love of dance and each other, dancing up a storm and beating the odds to become world champions. Sound good to you? Share this page on social media and let your friends know about Sonium: A Dancer's Dream at Sadlers Wells Theatre. Please note: The term Sadlers Wells Theatre and/or Sonium: A Dancer's Dream as well as all associated graphics, logos, and/or other trademarks, tradenames or copyrights are the property of the Sadlers Wells Theatre and/or Sonium: A Dancer's Dream and are used herein for factual descriptive purposes only. We are in no way associated with or authorized by the Sadlers Wells Theatre and/or Sonium: A Dancer's Dream and neither that entity nor any of its affiliates have licensed or endorsed us to sell tickets, goods and or services in conjunction with their events.